Directors of Missions in Louisiana serve as Missions and Ministry Coordinators. Performing many tasks necessary to guide congregations in a geographical area to be healthy thriving churches interacting with their world for the cause of Christ. Many of the Director of Missions serve multiple associations. 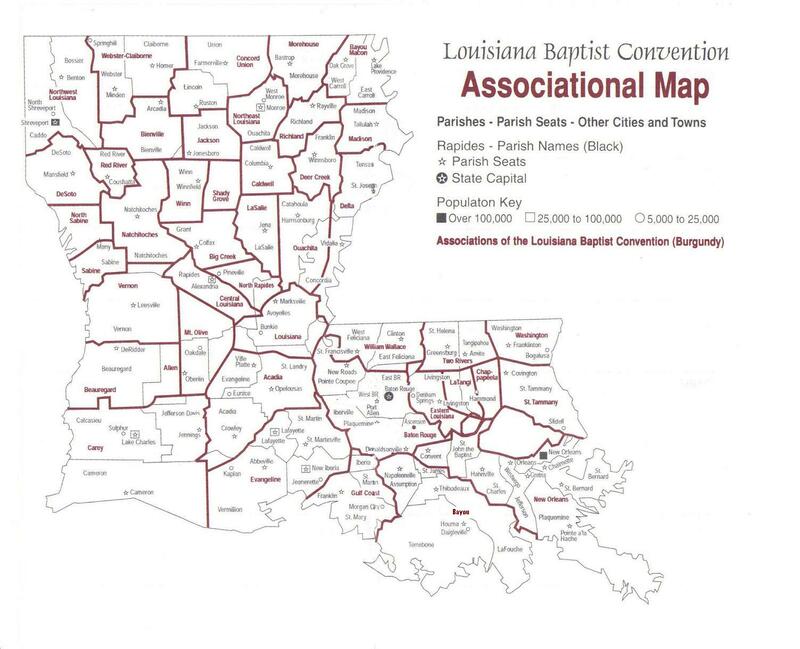 The current associational map appears below.